2017 Fortune Limited Edition Croissone emblem!! カスタムメーター受付開始！！　We started taking order for custom gauges!! Christmas Special part III !! Christmas Special part II !! 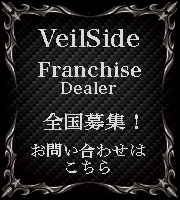 Copyright © Veil Side co.,ltd.. All Rights Reserved.